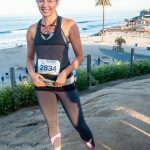 This is my second year running the Encinitas Half Marathon (my 5th half marathon). 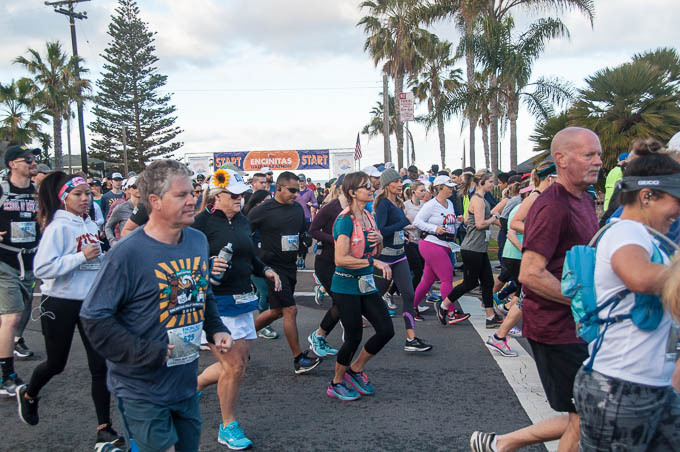 It’s a fun race with great energy and a beautiful ocean front course. 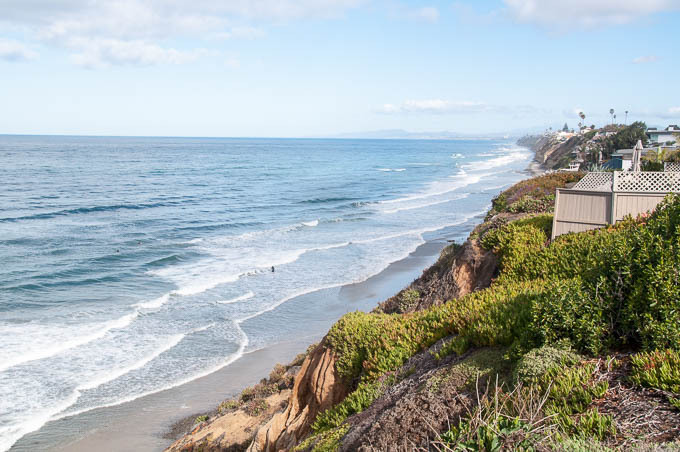 Encinitas is known as “the Golden City” because it’s thought to be located on a spiritual vortex. It attracts many naturopaths, healers, and spiritual advisors and is home to Yogananda’s Self Realization Fellowship. For many years Tim Miller, one of the first Ashtanga teachers in the US had a studio there. 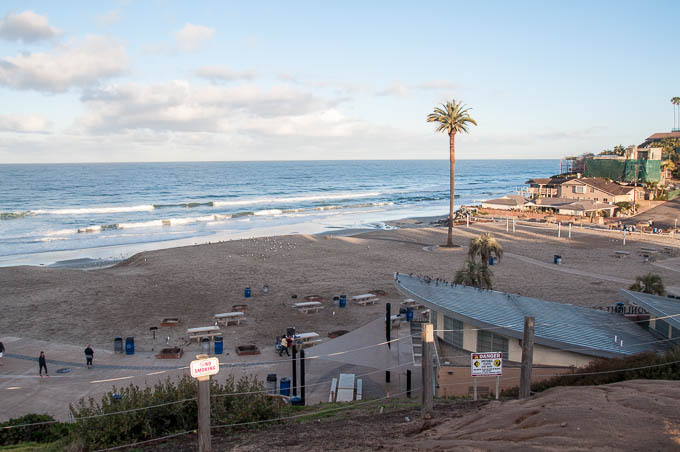 Encinitas is undergoing a transformation but the golden city retains its special vibe. 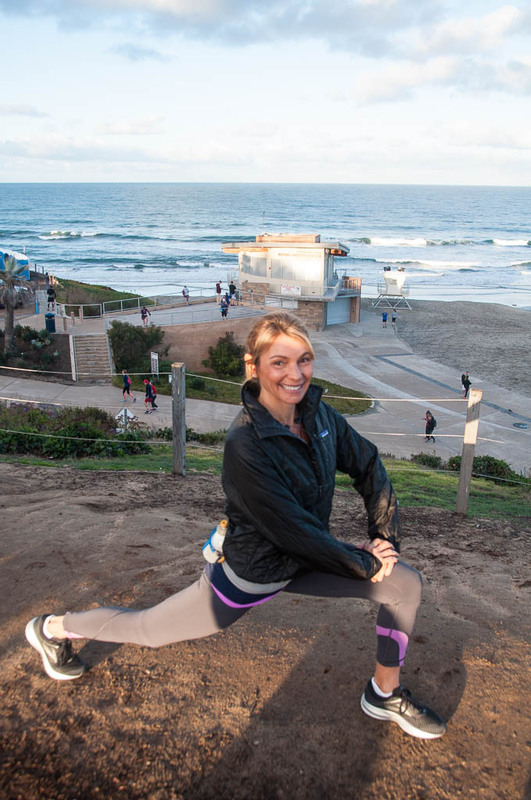 This beachy, fun half marathon appeals to all kinds of runners. Some are highly competitive, others are just there to have fun. The weather is ideal, the course is beautiful, the race is well organized, and the onlookers are beaming with enthusiasm. Simply put, it’s a joyful experience. Here are a few of my afterthoughts on the preparation and race itself. Goal setting is not a strength of mine. I get caught up in my routine and forget to set larger goals. But when I do, I thrive. Having a goal keeps me focused and disciplined. 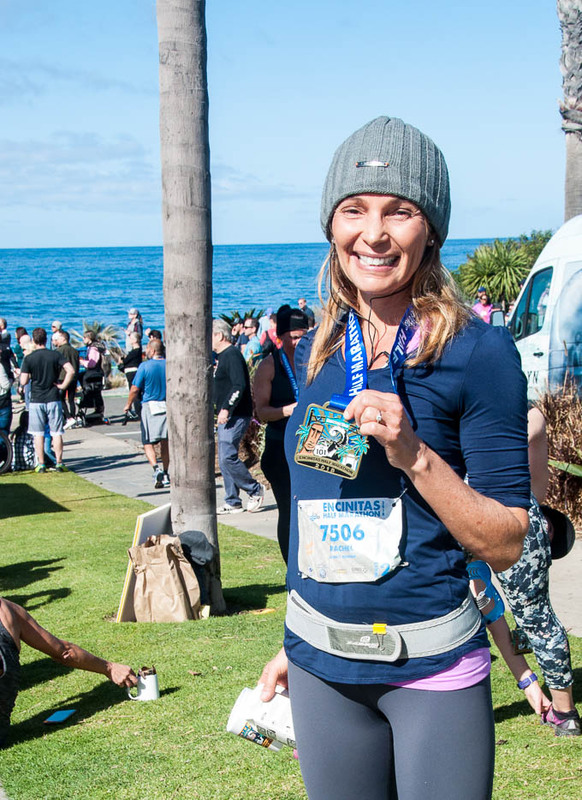 Training for the Encinitas half marathon is the perfect way for me to start the New Year (race is in March). The unexpected surprise about goals is that they help you get more motivated and organized in other areas of your life too. Reaching a goal feels amazing. I swell with more courage and confidence. 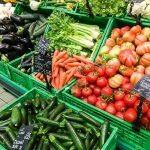 Goals have an organic quality too. You set a goal (birth), work hard towards your goal (nurturing) and accomplish your goal (actualization). It’s the practice of actualizing the seeds in your mind. I’ve always loved Drymax running socks but getting new sneakers was a huge hurdle for me. I’ve run in Asics Gel Nimbus for years but after the company changed them, I was terribly disappointed with the new models. I stubbornly kept my old ones and couldn’t bear to run in anything else. Not the best plan for avoiding injury. 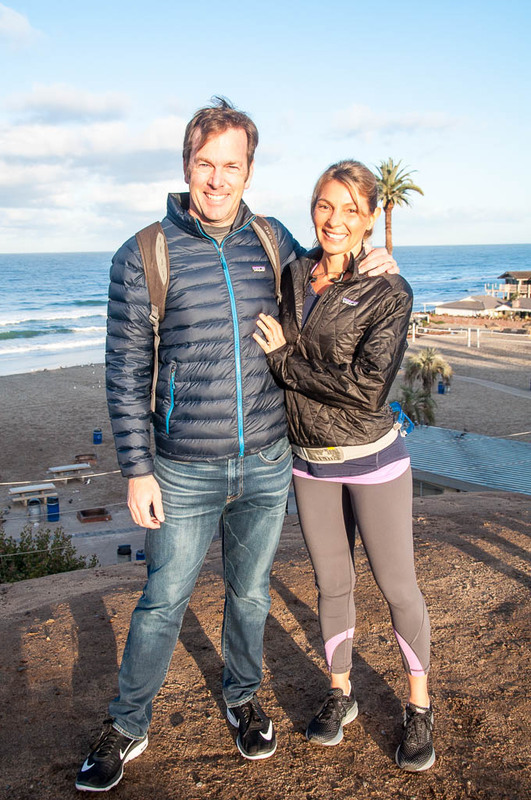 This year, my husband dragged me to buy new running shoes and the compassionate sales staff at Movin Shoes in Encinitas gently guided me in a new direction. $160 later, I walked out with a pair of Brooks Levitate (a half size larger to protect my toes). I had to get used to running in them, but in the end, it was an intelligent investment. Taking on this kind of goal is mentally and physically exhausting. Having a “support staff” i.e., my husband, makes ALL the difference. He helps in so many ways. He picks me up after long runs, makes sure I’m well hydrated, cheers me on when I’m beaten down, rubs my sore feet, and prints out my running schedule. He’s been to all of my races and having him there puts my mind at ease. I’m not a person who accepts help easily, but in this case, I highly recommend it. 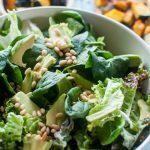 In Oct 2017 I dropped wheat and carbs to join my husband who wanted to lose a few pounds. The plan was to do this for a month. But after 30 days, neither of us wanted to go back. 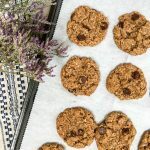 Prior to this, carbs was the foundation of my diet (hummus, pita, brown rice, lentil soup, fresh chick peas, black beans, and granola) and I ignored the connection between carbs and inflammation. But last year my hip was badly inflamed and each run was followed by an ice bath. This year, on my low carb diet, not-a-one! I am convinced that giving up wheat and carbs has profoundly reduced the inflammation in my hip and knee. I believe it helped my speed too (Last year I finished in 2:02 vs. this year 1:56). 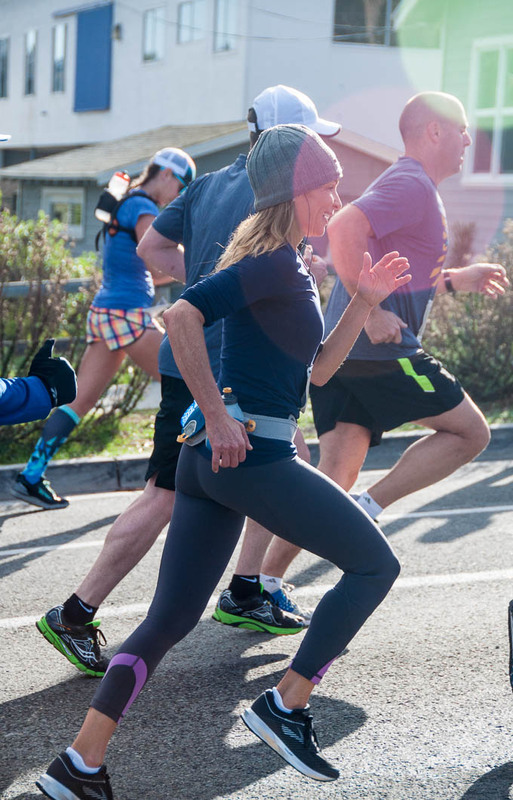 Towards the end of training, the running feels relentless but the “taper” sent me into an anxious tailspin……or what’s known as PRE-RACE ANXIETY. Then, I found this article, How to Deal with Pre-Race Anxiety, and changed my attitude. I’m a negative taperer, – one who fears they aren’t prepared enough and worries they will fail. This article explains the psychology of the taper which gave me faith in my training program and abilities as a runner. Miraculously, I was able to relax and halt negative self-talk. My pre-race meal has always been sushi (vegetable rolls to be exact). The rice was my “carbo-load” and I felt this meal was superstitious like a lucky rabbit’s foot. Now, that I’m avoiding rice, I had to surrender this “good luck” meal. So, I roasted Kombucha squash, made burnt broccoli, and a salad with avocado, pine nuts and pan-fried tofu. These are my favorite things to eat so I was well-fed and satisfied. My “secret” doping scheme is to have a quarter cup of coffee in the morning before the race. This scheme works wonders for me since I don’t normally drink caffeine. It’s quite a wonderful drug that puts wings on my sneaks. My race philosophy is simple and low tech. Run as fast as you can without stopping. Don’t stop for any reason (your legs can freeze up). Carry a small vessel filled with ½ coconut water ½ regular water. Take small sips every few miles–stay hydrated. I run with the iPod shuffle and uploaded a few new songs the night before. Amazing what a new song can do. Stay present and enjoy the race. This is a struggle for me. I’m rarely hungry after running so eating doesn’t appeal to me. However, failing to eat, hurts my recovery. This year, I drank water after the race but didn’t eat anything for hours. My bad!!! My blood sugar crashed, eyes glazed over, and I turned into a zombie. In retrospect, I should have had a banana or vegan protein shake. I’ll have to work on this next year.